Thanksgiving is just three weeks away, and Harper Court’s Vanille Patisserie is offering five delicious pies varieties available for order including Pumpkin with Cinnamon Whipped Cream, Apple Streusel, Pecan, Maple Cream with Mascarpone Whipped Cream, Gingersnap Streusel, and Chocolate Nutella French Silk. Due to popular demand, orders for Thanksgiving pies start today, November 1. 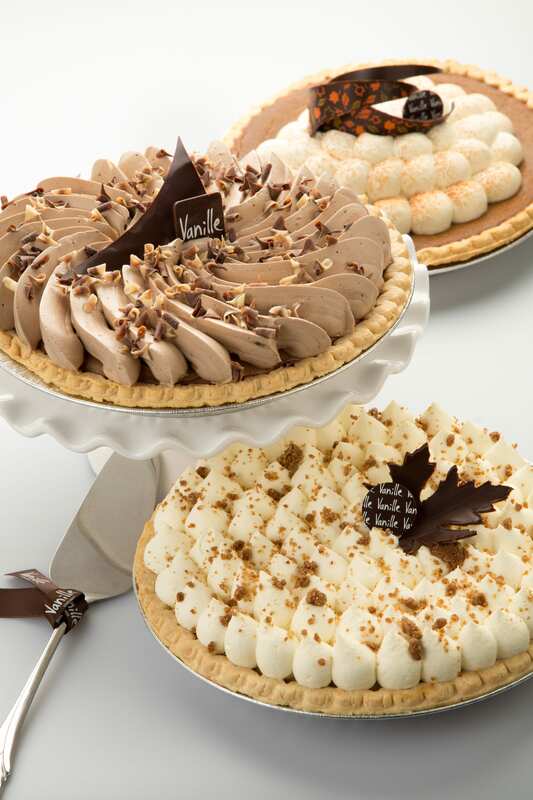 Vanille’s Thanksgiving pies are sold for $28.95 each, or $25.95 each for two or more. Gluten-free pie crusts are available for Pecan, Pumpkin, and Chocolate Nutella French Silk pies. Orders must be placed by Sunday, November 18 and only a limited number of pies will be available for walk-ins the week of Thanksgiving. Orders will be available for pick-up at any of Vanille’s four Chicago locations: in Lincoln Park at 2108 N Clark St., in Lakeview at 3243 N. Broadway, in West Loop at Chicago’s French Market at 131 N. Clinton St. and Hyde Park at 5229 S. Harper Court. 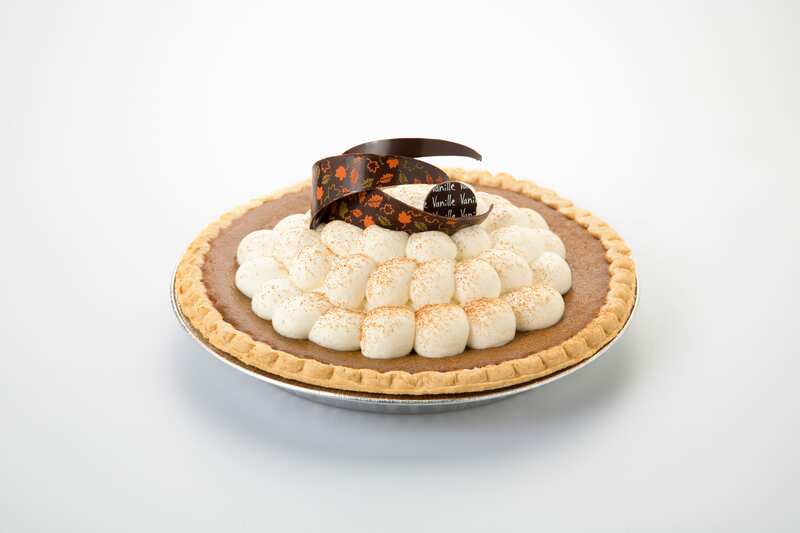 For more details or to order, please visit vanillepatisserie.com or call a patisserie specialist at (773) 868-4574 to reserve your Thanksgiving pies. Vanille Patisserie’s pies, including Pumpkin with Cinnamon Whipped Cream, Chocolate Nutella French Silk, and Maple Cream with Mascarpone Whipped Cream.